How do maintenance agreements extend the life of your system? Air filter ratings tell you how many pollutants they remove from the air, but those numbers don’t just relate to what you breathe in. They also refer to the contaminants that enter your HVAC system. The dirt and debris build up over time. It reduces efficiency and how long your heating and cooling system lasts. An HVAC technician cleans your system during maintenance visits twice a year, but you can promote a cleaner system all year. 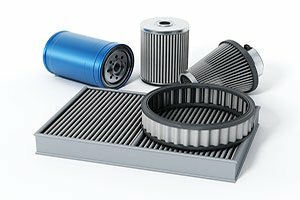 Upgrade to a high-quality filter with a MERV rating of 7 or above and change your filter every 30-90 days for best performance. Many people rush home from work and crank the heat or A/C until they feel comfortable. It stresses your system to the max. It’s also unnecessary. Most thermostats today have programmable features, and new thermostats make them easier to use than ever before. To lower your energy bills and reduce system workload, learn how to program your heating and cooling system to fit your needs. As HVAC technology progresses, developers have uncovered ways to boost heating and cooling features while reducing energy use. Give your system’s efficiency an immediate boost by adding humidity control or improve your home’s overall health with an air-cleaning add-on. Ask your HVAC technician what add-ons and upgrades can give you the biggest bang for your buck. Enroll in one of Wilson’s maintenance agreements today or schedule a one-time preventive maintenance service call.